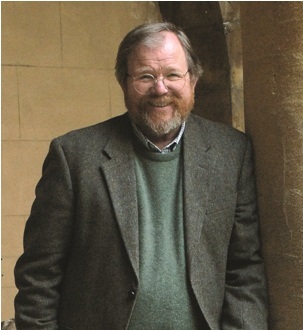 Bill Bryson is one of the most famous travellers on the planet but there are parts of Asia he hasn't yet explored, one reason he is so thrilled to be a guest lecturer aboard luxury ship Silver Whisper's world cruise in 2012. 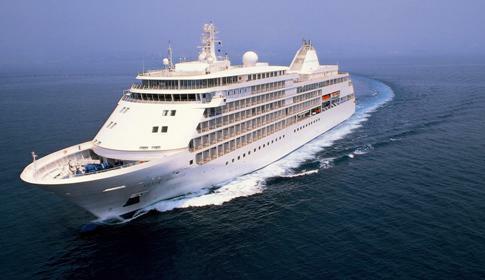 In January 2012 Silversea's Silver Whisper will set off from Fort Lauderdale, USA for a 115-day World Cruise concluding in Monte Carlo. On this impressive odyssey, her passengers will visit 45 ports in 27 countries stretching from the Caribbean and South America to Africa, the Far East, Arabia and Europe. Bryson will be on board 3 - 14 March when the ship sails from Singapore to Shanghai. Bryson's witty and wonderful books have sold more than ten million copies and been translated into over 45 languages. His best-selling travel books include The Lost Continent, Notes from a Small Island and A Walk in the Woods. His science book, A Short History of Nearly Everything won the Aventis Prize of the Royal Society. The Life and Times of the Thunderbolt Kid is an autobiography of his childhood in Des Moines, Iowa. Since those early days in Iowa he has picked up many accolades for his work including an OBE. His latest book is At Home: An Informal History of Private Life. What do you miss about home when travelling? The usual things really - not living out of a suitcase, sleeping in my own bed, just enjoying a quiet domestic existence with my dear wife. I've spent a lot of the last twenty years travelling, so having extended periods at home with her is now my greatest luxury. I will talk about strange and funny things that have happened to me as a writer, and the cultural perils of being an American living in England. What is it about travelling that makes you keep doing it? The most exciting day in my life was when I landed in Europe for the first time in 1972 and was suddenly in a place where everything was different - different foods, different languages, different cars, different architecture, different everything. I still find that a reliably thrilling experience. Which of your books was your favourite to write? That's a very tough question, but probably The Life and Times of the Thunderbolt Kid, which is a memoir about growing up in Iowa in the 1950s. It was a great time and place to be a kid and I had a wonderfully happy upbringing in an eccentric household, so I had plenty of material to work with. Do you feel more like a Brit or an American? I feel like both and neither really. Fundamentally I will always be an American, just as I will always be left-handed and absent-minded and disliked by dogs, but I have spent so much of my adult life in Britain that my sensibilities and closest interests are there. I cheer for England in the World Cup and for the University of Iowa at American football. It is a great thing - a real privilege - to be able to have a close attachment to two countries. On assignment, the best place I have ever been sent was the Seychelles. This was twenty years ago, and I haven't been back since, but it was the quintessential tropical paradise. When paying my own way, I think the best time and place I can think of was a family holiday we had in Palm Cove, in Queensland, a few years ago. It was just glorious. I like to be at my own desk at home, for more or less obvious reasons, but I am hugely grateful to whoever invented the laptop computer, because it means you can work on trains and planes, in hotels and waiting rooms and lots of other environments where you never could before. That has made an enormous difference to my life. One travel experience you will never forget? Coming off the Appalachian Trail after six weeks of hiking (for A Walk in the Woods) and being met by my wife and kids, who had driven 800 miles from New Hampshire to meet me. I had never been away from them for that long before (and never would again, believe me) and have never been so glad to be reuinted. Anywhere you haven't been but would like to visit? Loads and loads of places. There are places in Iowa that I have never been to and would love to see. One of the reasons that I am very excited about this Silversea cruise is that we will be calling at several places that I have never been before. All things considered, for general decency and reliability over many years, I would say Qantas and British Airways. What does luxury in relation to travel mean to you? A great bed with lots of soft pillows and a decent reading light. In Britain, Chewton Glen in the New Forest and the Airds Hotel at Port Appin in Scotland. Internationally, the Peninsula in Hong Kong. Plenty to read, back-up credit card for when the normal one is unaccountably declined because some computer somewhere doesn't think you should be spending money in Tashkent or Rome or anywhere you don't normally go, and an alarm clock that I can use on all those occasions when I can't figure out how to make the hotel alarm clock work. Hotels that charge you for things you didn't have. This happens all the time at big American hotels, and now increasingly if your bill is being paid for by someone else (your publisher, say, if you are on a book tour) they won't even let you have a printout of the bill to see if you have been wrongly charged for anything. To the garden. I have lots of weeding to do. Silver Whisper images courtesy of Silversea Cruises.